Halloween may be only weeks away, but with Christmas being the biggest shopping holiday of them all, retailers are seeking supply chain optimization by stocking their shelves with some of the season's most highly coveted merchandise. But for the first time in 70 years, Toys "R" Us will not be partaking in the annual ritual after filing for Chapter 11 bankruptcy protection. Looking to fill the sizeable void the toy titan left behind, several rival big box retailers are stocking up on kids' favorites, aiming to seize more customers in the process. Target, Walmart and Kohl's are among the household name stores setting aside plenty of floor space in their brick-and-mortar locations for more children's products, The Wall Street Journal reported. Even e-tailers - like Amazon - are participating in the retail supply chain frenzy and informing their customers as to why they're the store to shop at this Christmas by distributing toy catalogs, sent by postage and email. Just about every consumer product shop circles the weeks leading up to Dec. 25 as an all-important stretch, as it's this time of the year that stores tend to see the most in the way of purchase activity. But this is particularly true of toy retailers. Indeed, the seven days before Christmas typically accounts for 10 percent of annual sales, according to data analysis the Journal conducted from statistics managed by the NPD Group. Steve Totzke, chief commercial officer for multinational toy manufacturer Mattel, told the news publication that this year's season is a particularly noteworthy one for big box retailers, given the stakes involved. "This year more than ever, getting the right toys in the right stores at the right quantities at the right time is going to be the game," Totzke explained. "The companies that do it best - the manufacturers and retailers - are going to win the season." "Winning" may be the operative word for retailers in today's economic environment, aiming for a profitable final few months of 2018 given Americans have more spending capabilities. The unemployment rate is at a low not witnessed in more than 50 years and average incomes are starting to tick higher. 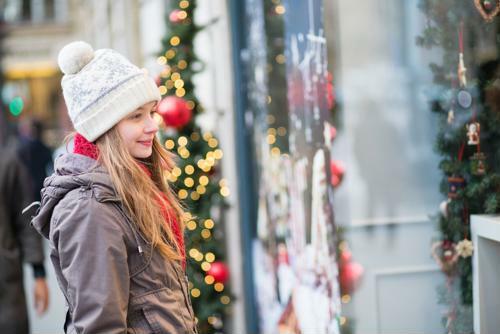 Given this, the National Retail Federation anticipates holiday retail sales to swell by as much as 4.8 percent - a near full percentage point higher than the average seen over the previous five years. "More square footage is being devoted to toy products." Toy suppliers' success in achieving the sales surge will largely hinge on retail sourcing and procurement. Target, for example, plans to devote an additional 500 square feet of space purely to toy products in at least 500 of its locations, The Journal reported. Fifty percent of these stores are within 5 miles of where Toys "R" Us operations once stood. The Wayne, New Jersey-based toy retailer closed all of its U.S.-based locations this past summer, but reports have resurfaced suggesting that Toys "R" Us may reopen again in 2019 if a group of investors is able to establish partnerships that would revitalize the chain. In the meantime, Walmart and other major consumer product corporations are filling out their toy sections, the likes of which include J.C. Penney and FAO Schwartz, the Journal reported. Anne Marie Kehoe, vice president of Walmart's toy division, told the news publication that by optimizing the supply chain, the world's largest company by revenue hopes to avoid the shortages that frustrate parents' ability to check all the items off their kids' wish lists. "The plan is to be in stock on the best items all the way through Christmas," Kehoe said.